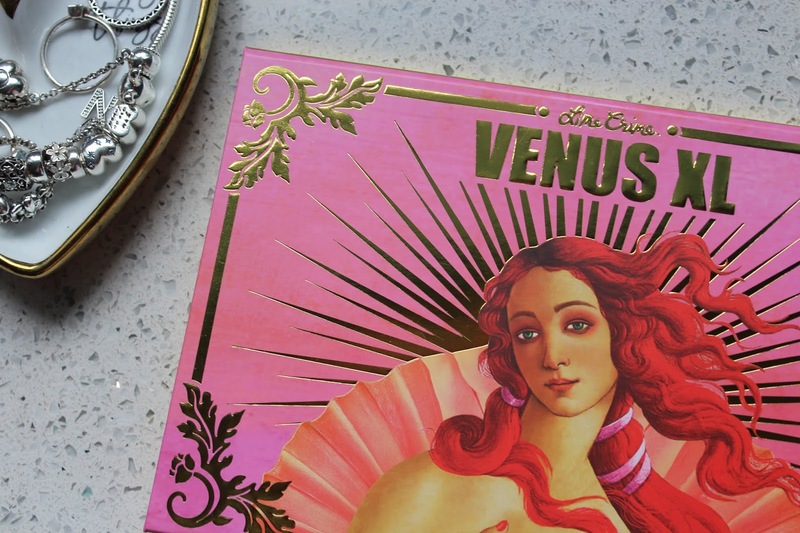 Coleoftheball: Lime crime Venus XL - The ultimate pinky red palette? 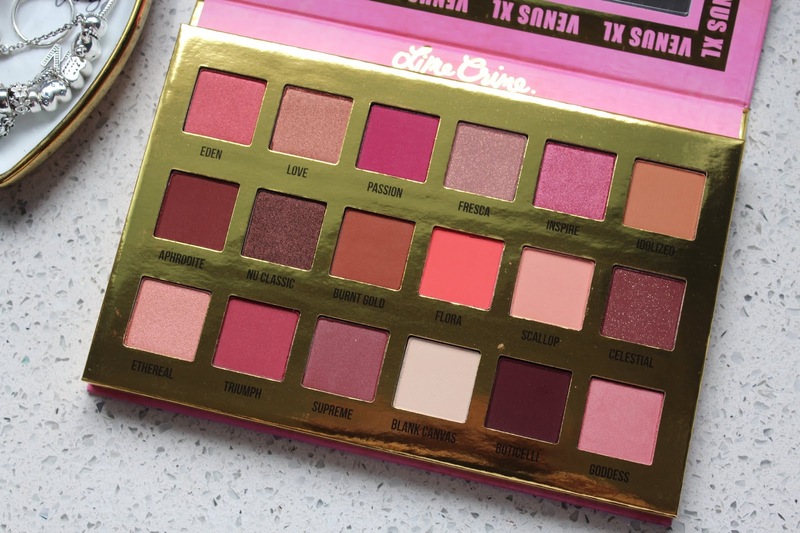 Lime crime isn't a brand I have tried much from however when I saw the first sneak peaks of this palette I knew I had to have it.. If I had to describe this palette in one phrase I would say it's like Modern Renaissance but on steroids. 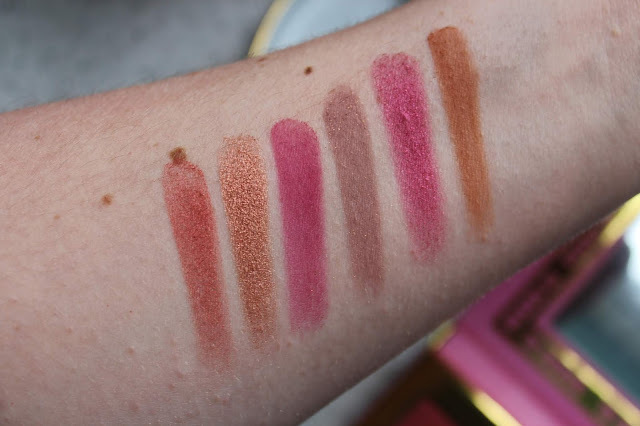 I feel like this really is the perfect palette for anyone who loves pink shades and perfect for people like me with Blue eyes as all the colours make my eye colour pop! Packaging wise the outer is a thick cardboard which feels incredibly sturdy and handled traveling really well. The lid shuts with a nice strong magnetic closure and isn't a palette I worry about coming open in a makeup bag. The mirror is also huge, big enough to even see my entire moon face in it and is a really lovely quality. I feel like the price point of this palette is spot on as you are paying for some really beautiful shadows and an equally stunning packaging. So first off formula wise I wasn't really sure what to expect. I hadn't really heard much about the shadows from lime crime however what I had heard seemed pretty positive. 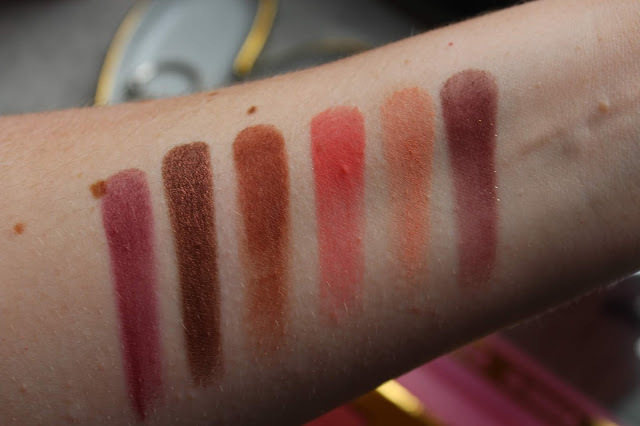 The mattes are incredibly creamy and blend beautifully. I do feel like the deepest shade called Boticelli takes a little more work however I wouldn't say it was too hard to work with. There are a couple of shades in here that are mattes with small amounts of glitter suspended in them which are a little drier than the other mattes. I have to say I've never understood these shades as I'm not sure I've ever come across one where the glitter translates onto the eyes. The shimmers are beautifully creamy and look so stunning on the lids. I find the fallout with them is minimal which is always a bonus. Eden - A coppery red shimmer shade. Love - A much truer orange copper shimmer. Passion - A deep bright pink - reminds me of ABH Love letter. Fresca - The first of the mattes with shimmers and one of the few cooler shades in the palette. A taupe based purple with a gold glitter. Inspire - A bright barbie pink shimmer. Idolized - a great transition warm brown similar to ABH Raw Sienna. Aphrodite - A deep pink Burgundy matte. Nu classic - An almost duo chrome shimmer - A deep brown with pink undertones and a slight pink reflect. Burnt gold - A warm clay brown matte. Flora - My favourite shade in the palette, a bright coral pink matte. Scallop - Another brilliant transition, a peachy pink matte. Celestial - The other matte with suspended glitter, a deep browny purple with gold glitter. Ethereal - A peachy pink duo chrome. Triumph - Mid tone raspberry pink matte. Blank canvas - The perfect matte cream. Boticelli - A deep purple matte. Goddess - A shimmery mid tone pinky mauve. 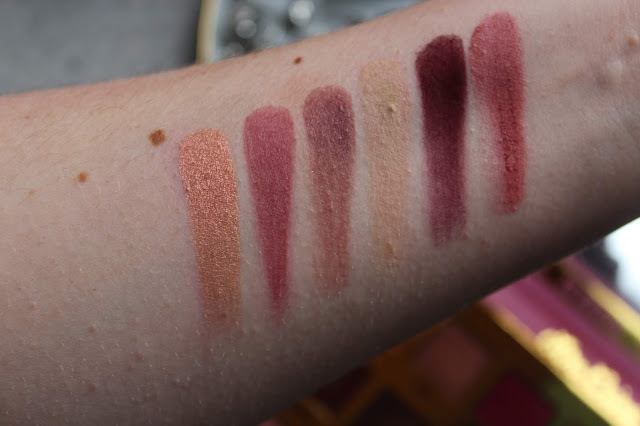 Overall I really love this palette, I do think it could do with a couple more lid shades however I manage with what is in the palette and I don't have to worry about bringing extra shadows along with me. I'd love to know if you've tried this and what you think of it. Not sure I'd get a lot of use out of this combination of shades but the packaging is undeniably beautiful. What a stunning and crazily pigmented eyeshadow palette!